She is the S&D Coordinator of the ECON committee; a full member of the Committee on Economic and Monetary Affairs; a substitute member of the Committee on Industry, Research and Energy; a substitute member of the Institutional Affairs Committee; a former substitute member of the “TAXE I” et “TAXE II” special committee; a former substitute member of the PANA inquiry committee. 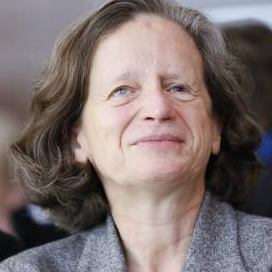 She was appointed rapporteur on “The economic governance framework of EMU: Stocktaking of possible building blocks” in 2014 and rapporteur on “a Budgetary capacity for the Eurozone” in 2015. In the Parliament elected in 2009, she was the Chairwoman of the Employment and Social Affairs Committee and a substitute member in the Economic and Monetary affairs committee. She was appointed rapporteur of the temporary committee on the financial, economic and social crisis. Previously, she was Chairwoman of the Economic and Monetary affairs Committee (2004-2009), head of the French socialist delegation (June 1997-June 2004 & June 2014-January 2017) and Vice-President of the Socialist group in the European Parliament (June 1997-June 2004). From December 1999 to October 2000, she was the Vice-president of the European Parliament delegation to the Convention in charge of elaborating a European Union Charter of fundamental rights. She was also a member of the European Convention in charge of drafting a Constitution for Europe from February 2002 to July 2003. Graduated from the “Institut d’Etudes Politiques” in Paris, she worked from 1981 to 1988 and from 1993 to 1994 as an administrator in the French National Assembly; from 1988 to 1992 she was an advisor for International and European affairs to Laurent Fabius, President of the National Assembly.